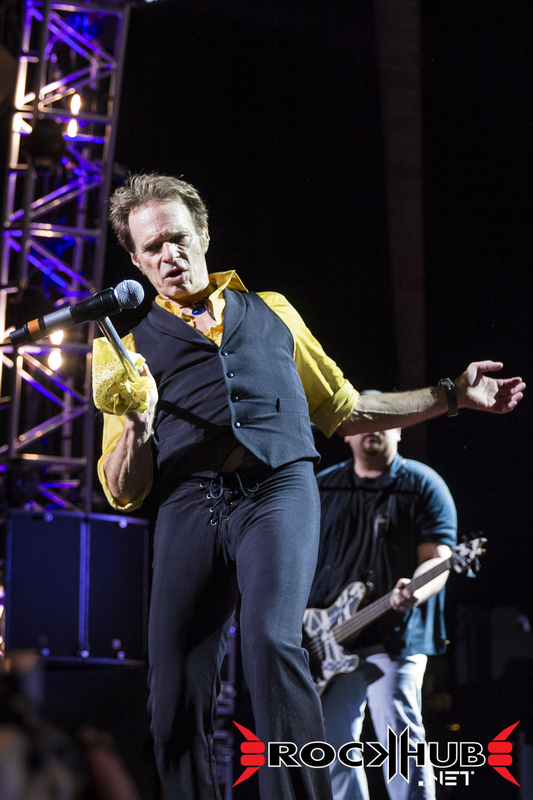 How goes that phrase made famous by the US Postal Service? 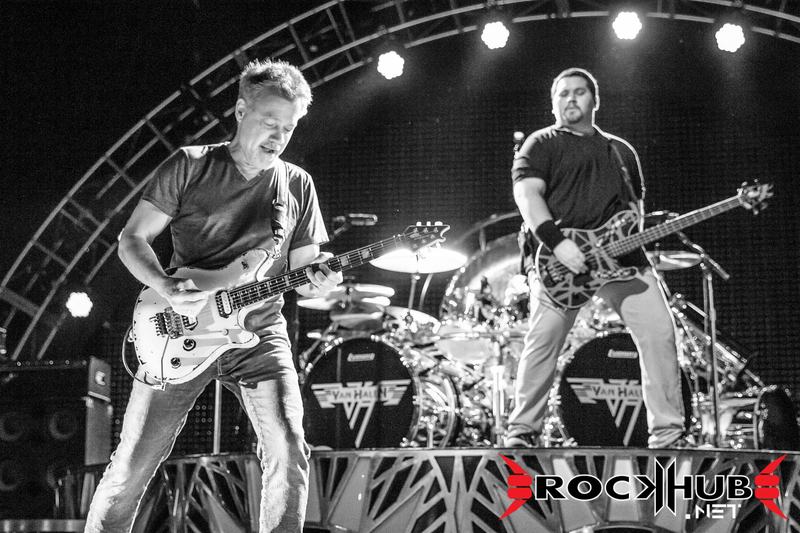 “Neither snow nor rain nor heat nor gloom of night stays these couriers from the swift completion of their appointed rounds.” And that’s exactly what happened the night of August 11 in Hartford, CT, when legendary rockers Van Halen performed under a torrential downpour that fell over the area. 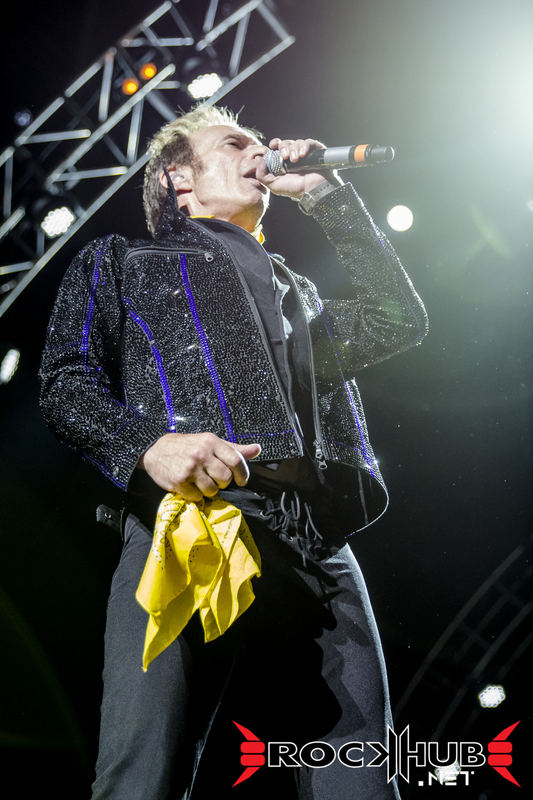 Granted that the only ones who got wet that night were the poor souls at the lawn area of the Xfinity Theatre, but that didn’t stop anyone from enjoying what turned out to be a great show. 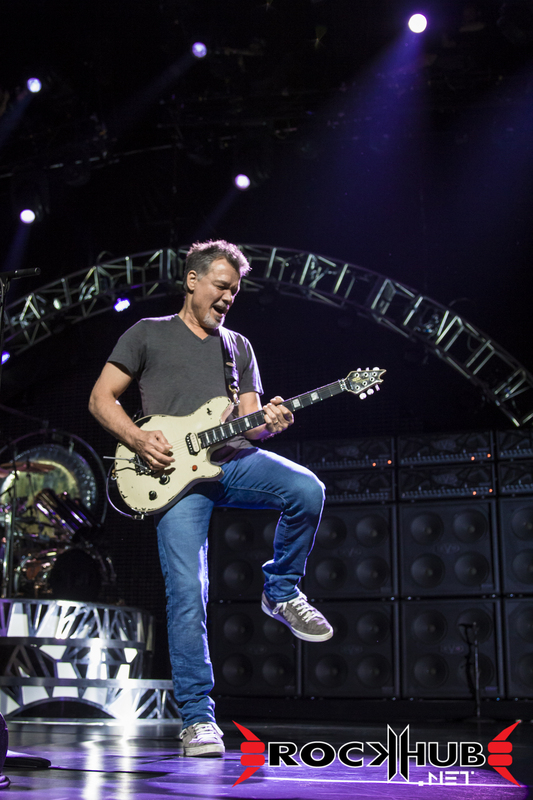 Let’s address the elephant in the room and get it out of the way. 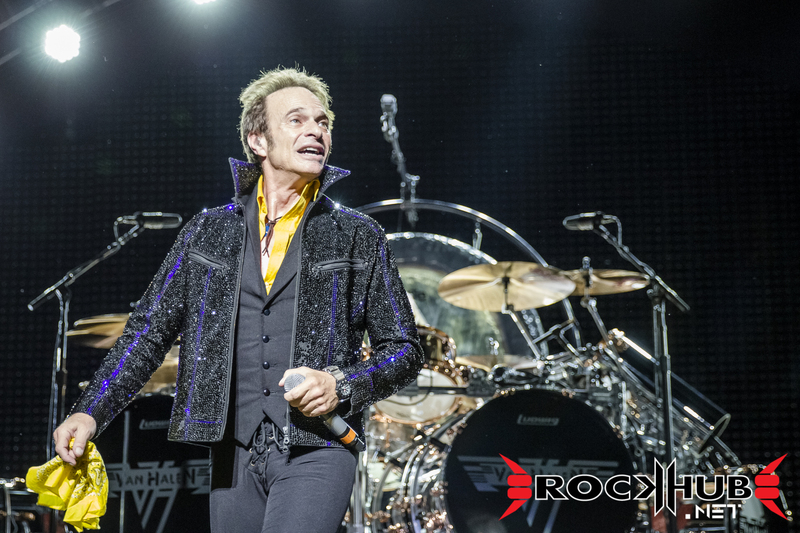 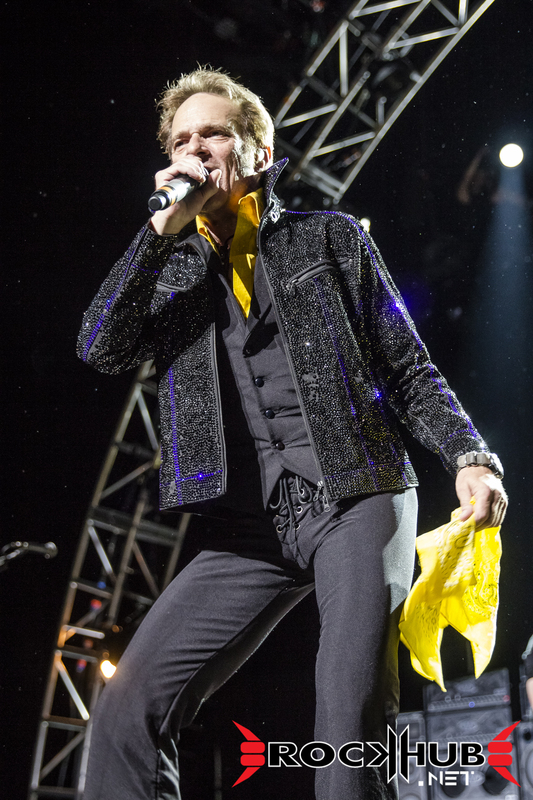 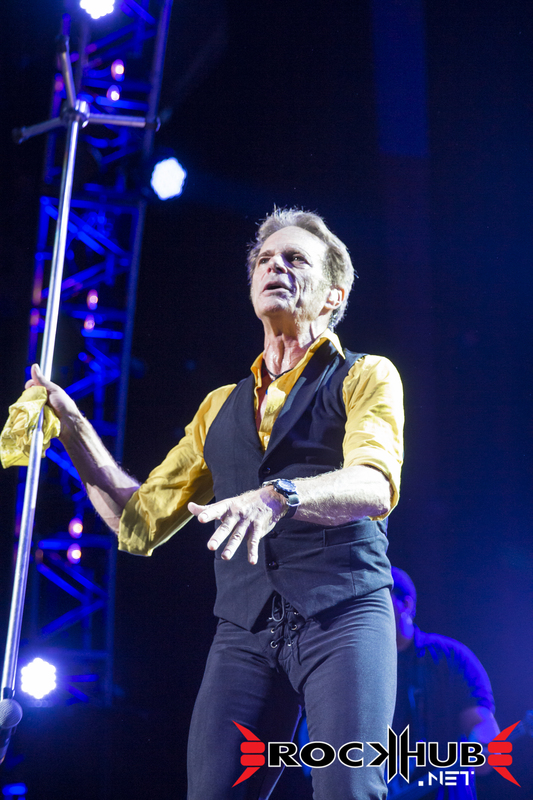 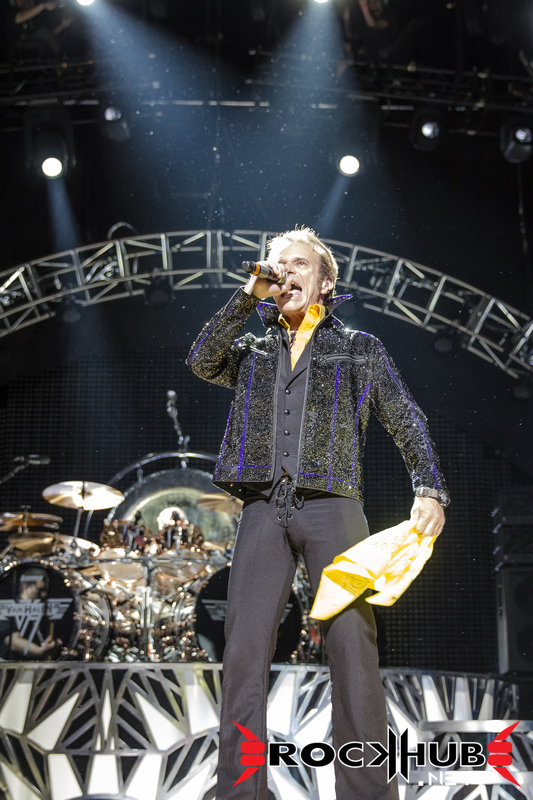 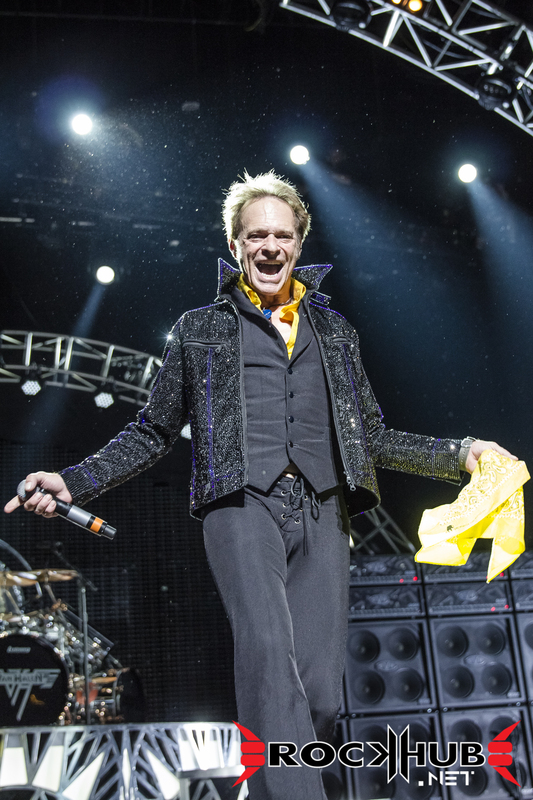 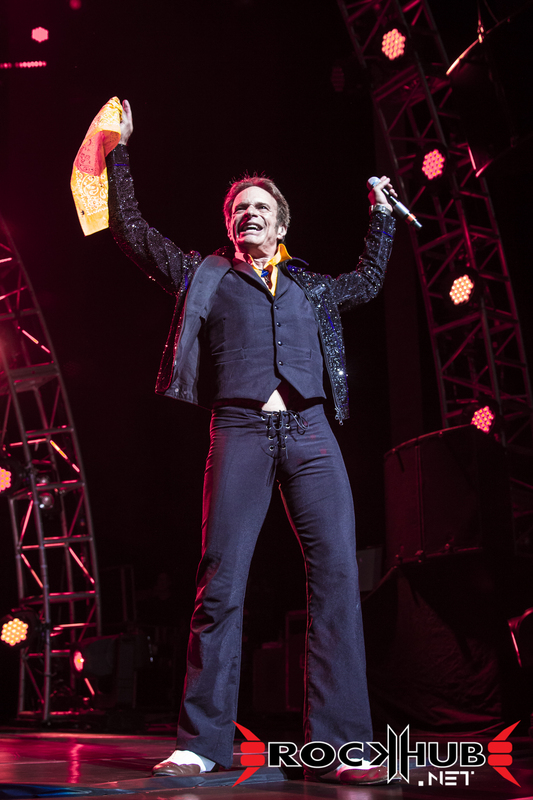 There is plenty of talk out there that David Lee Roth is not in his prime anymore. 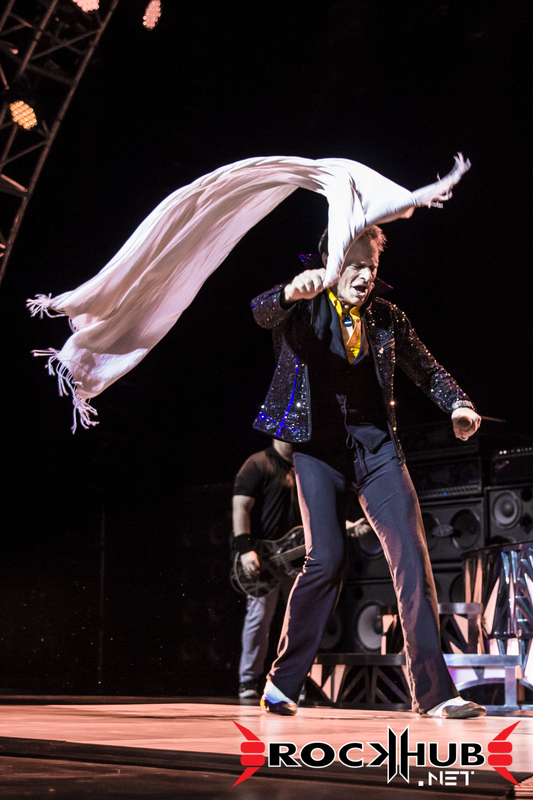 But, in his defense, he is not trying to be. 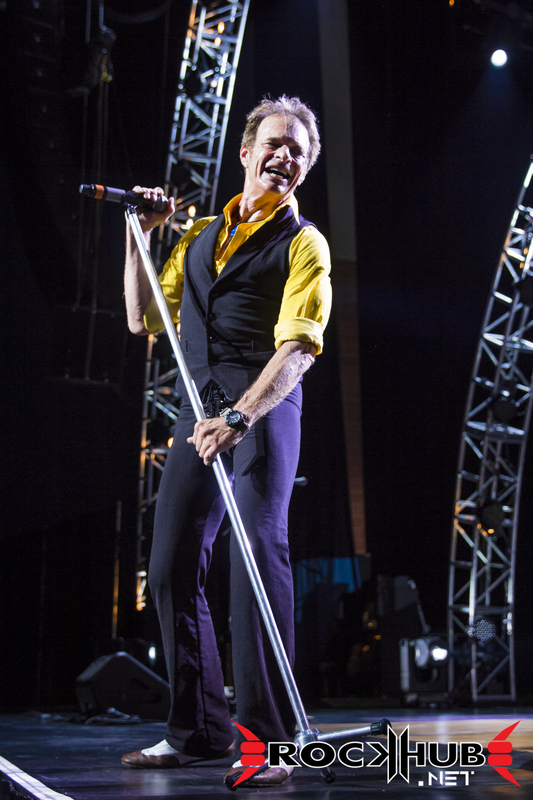 No high-pitched screams, no jumping kicks, no fancy martial arts moves, and after the Jimmy Kimmel incident, no stick twirling, either. 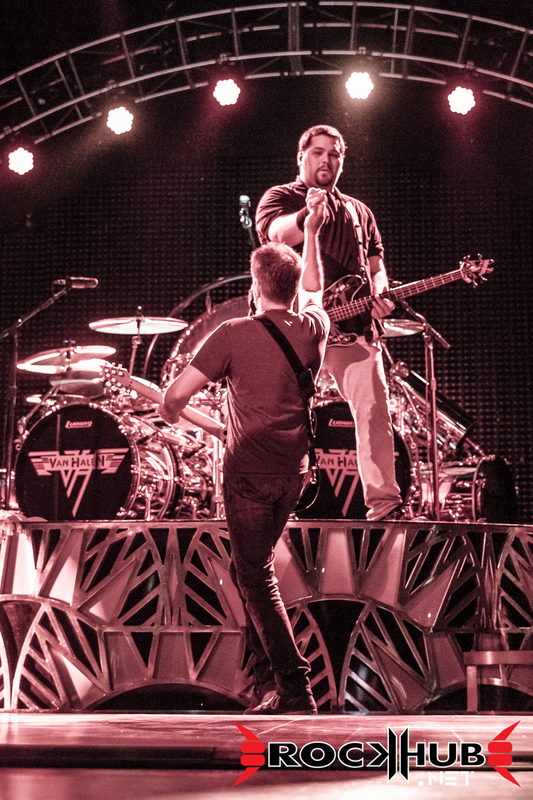 And that’s perfectly fine. 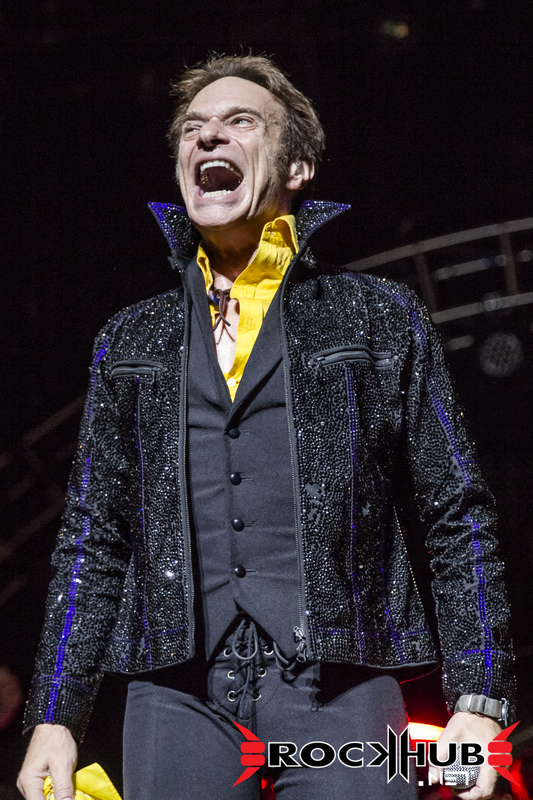 He is a consummate entertainer, nevertheless. 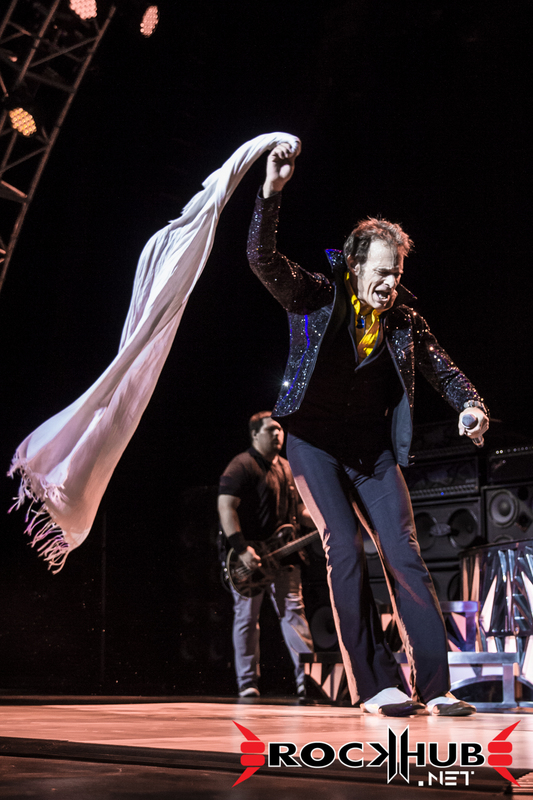 Diamond Dave gave us a pretty collected and artistic performance that kept everyone cheering and singing along, all night long. 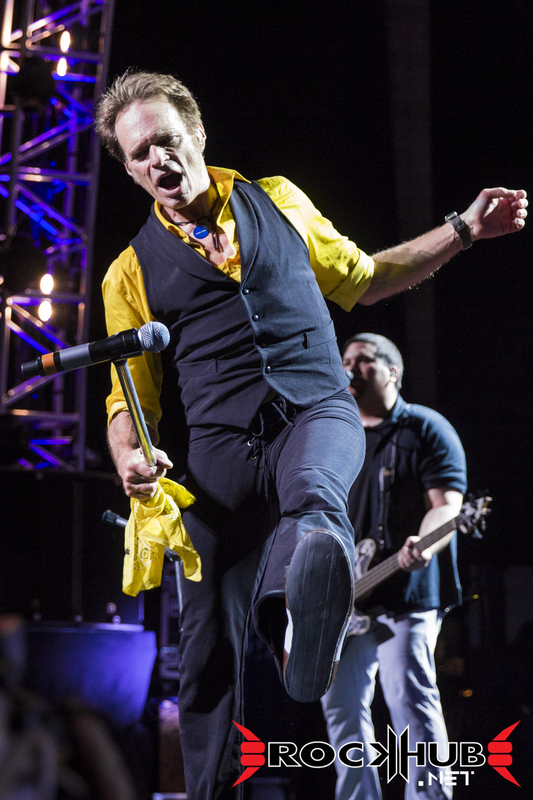 He did stumble or flat out forgot the lyrics on a few occasions. 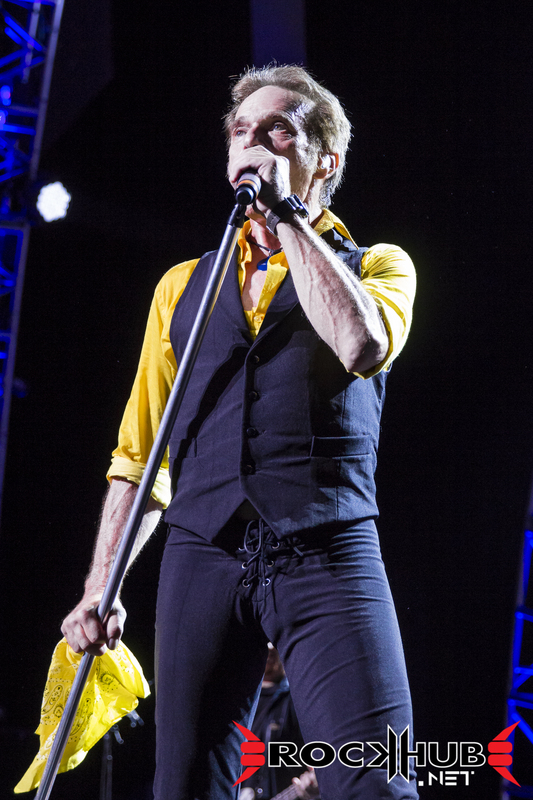 Despite all this, and after all these years, he is still an excellent frontman that could easily go toe to toe with any young gun out there. 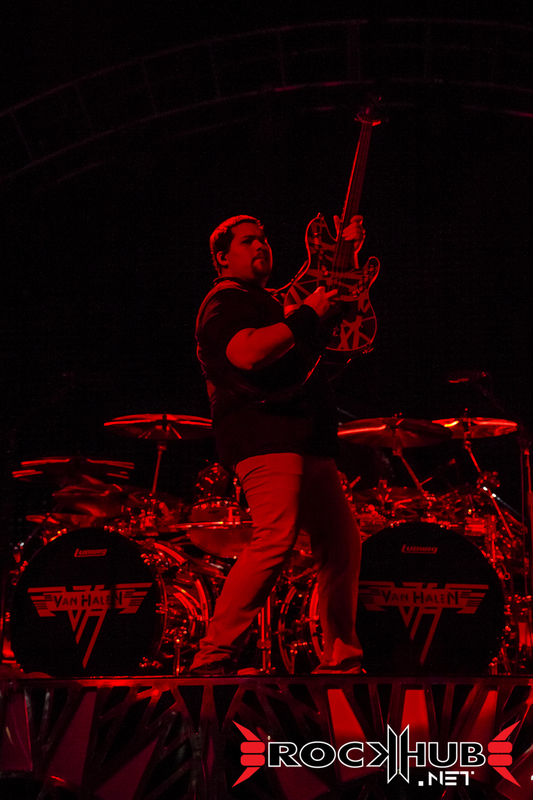 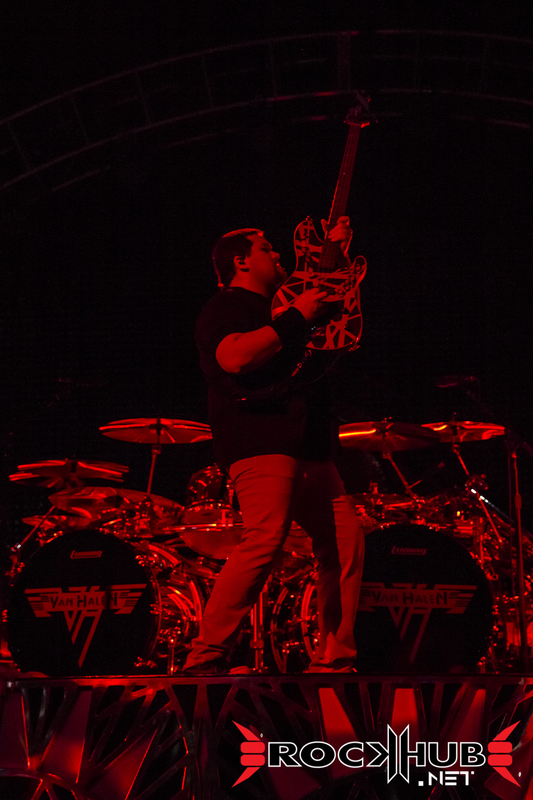 Another variable in the show was young Wolfgang Van Halen, who had some pretty big shoes to fill on bass. 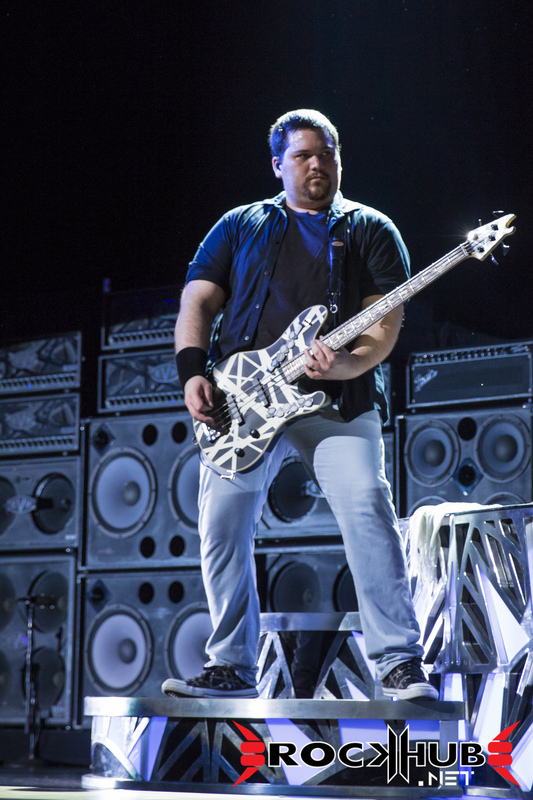 Eddie’s son gave us a very solid performance. 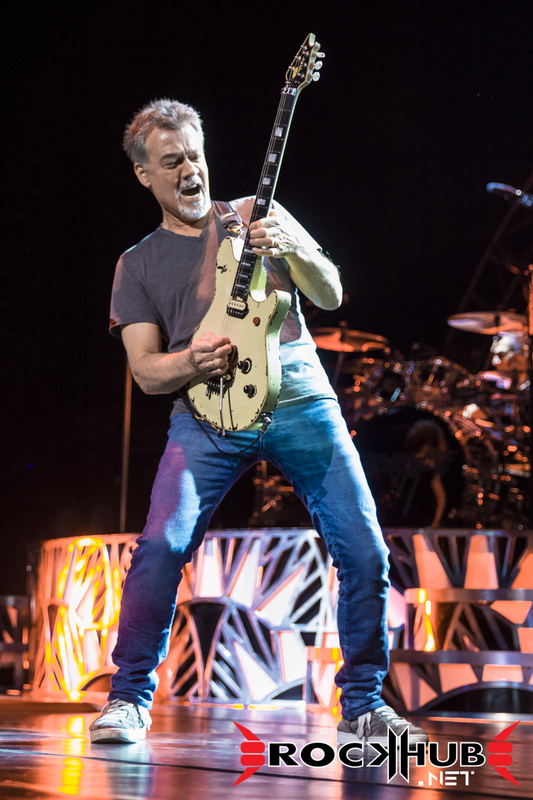 His playing was spot-on, and harmonized well on backing vocals. 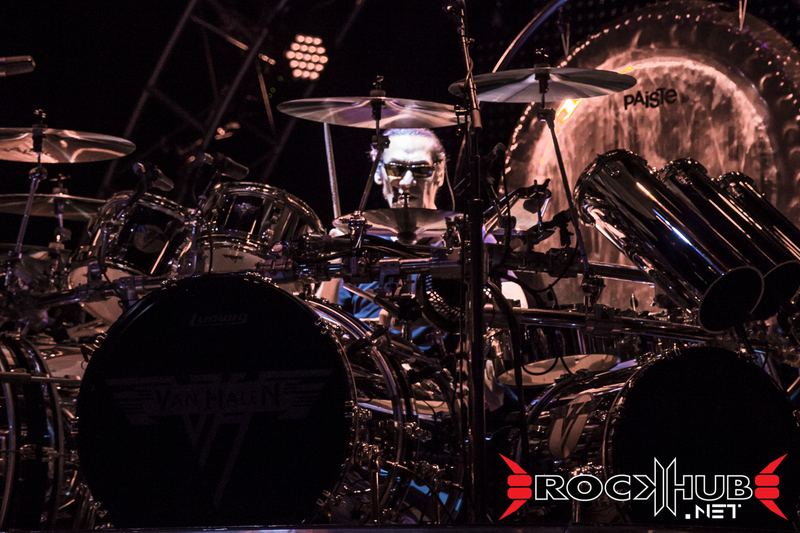 Uncle Alex Van Halen, as expected, killed it on drums. 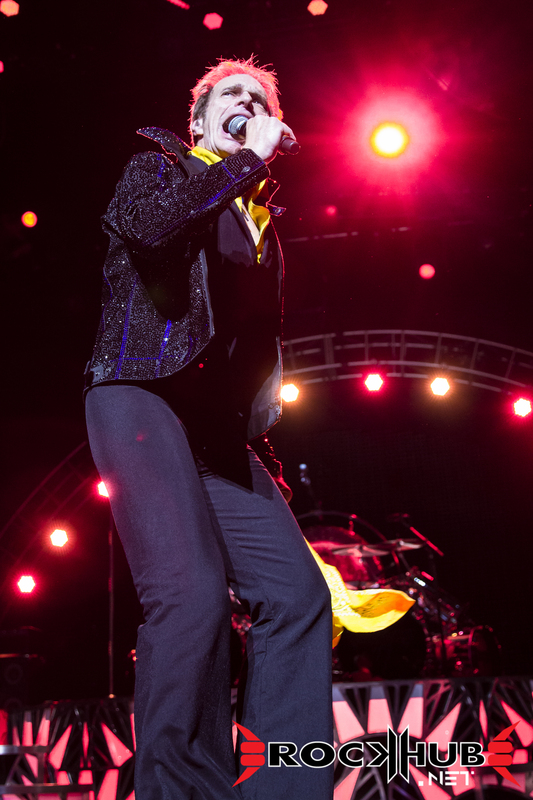 His short-but-sweet solo was as energetic as ever. 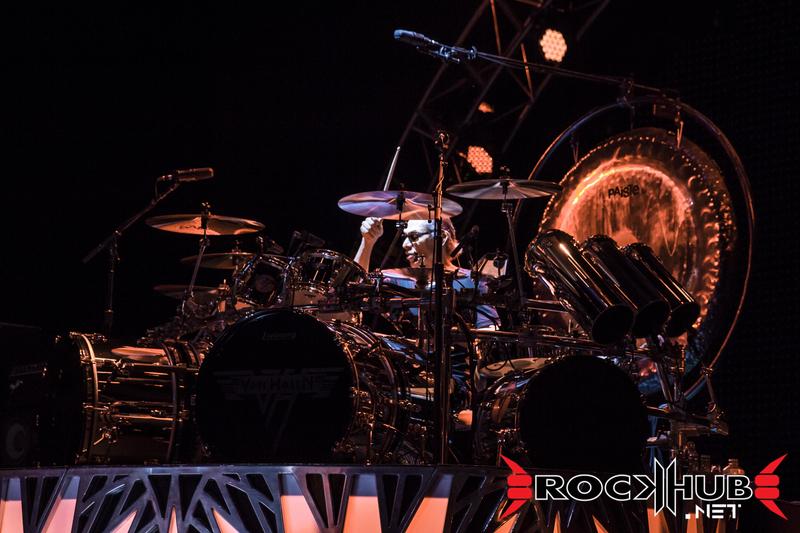 He is one of my top 5 favorite drummers ever, and watching him play was an exhilarating experience. 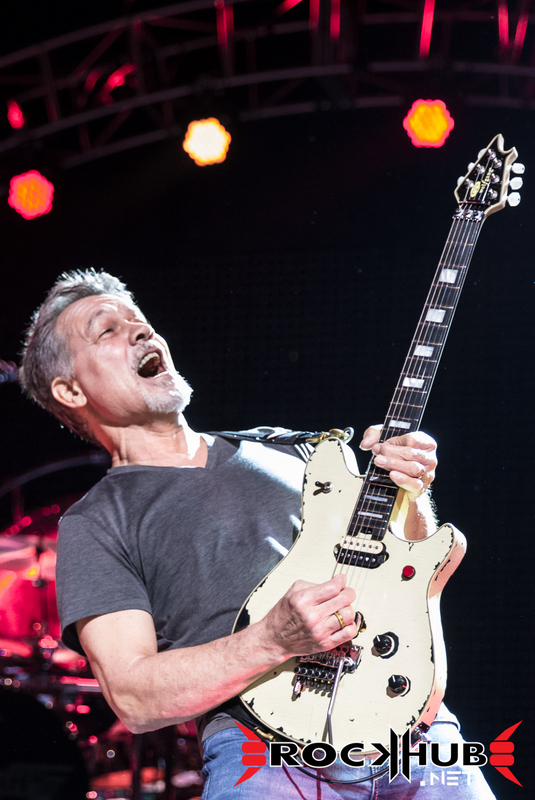 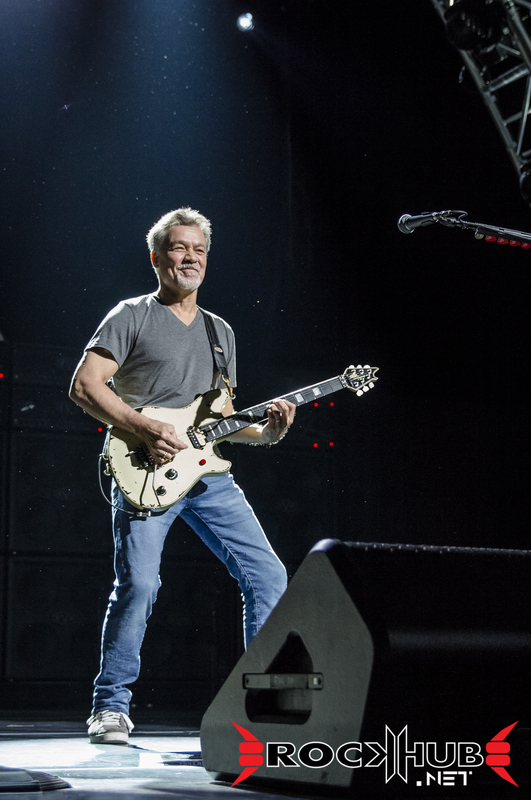 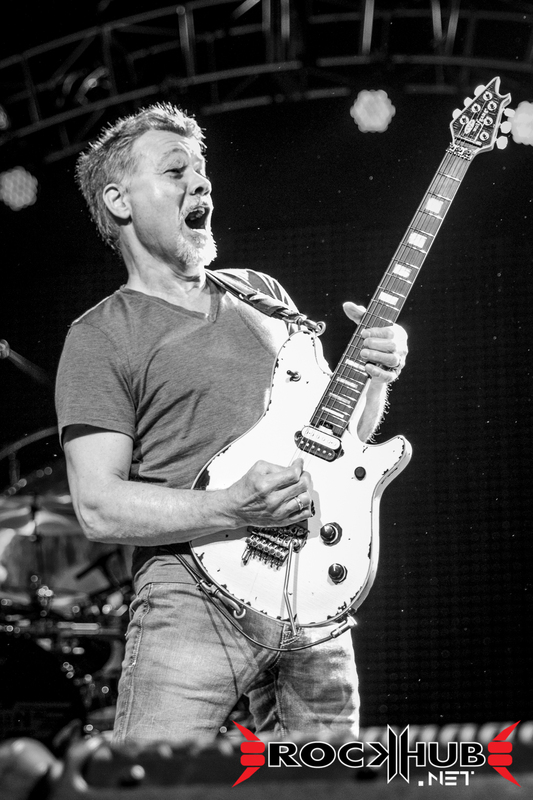 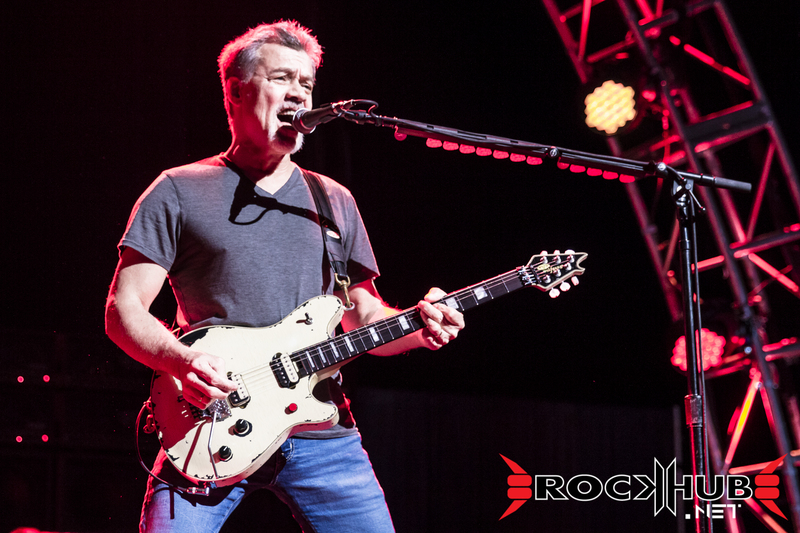 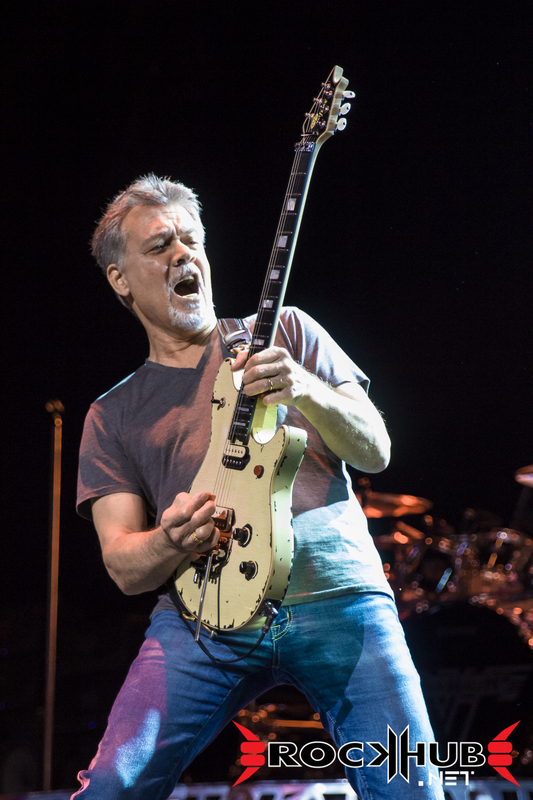 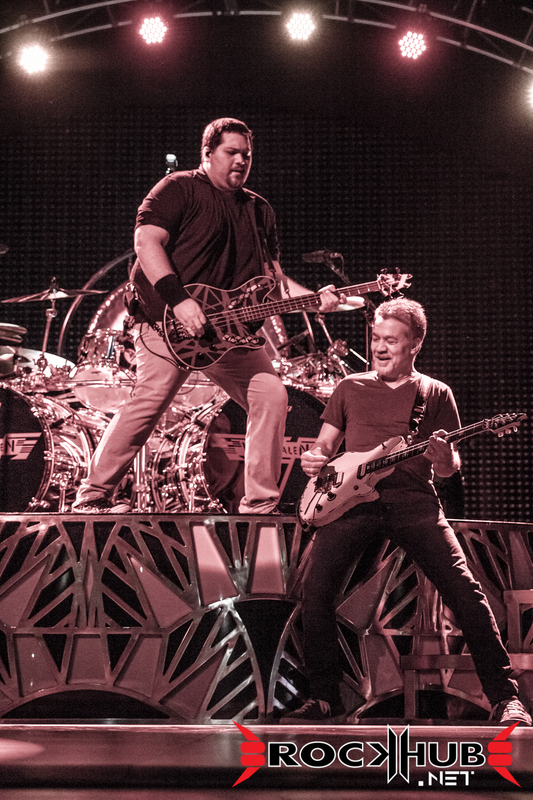 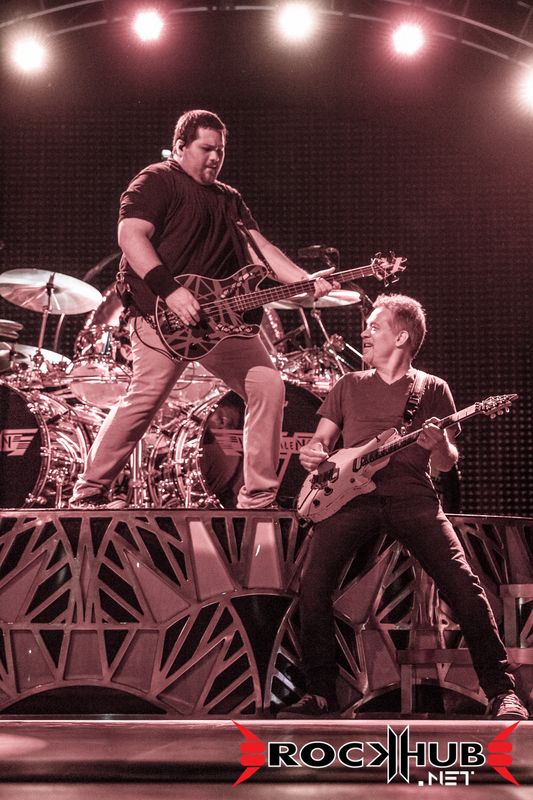 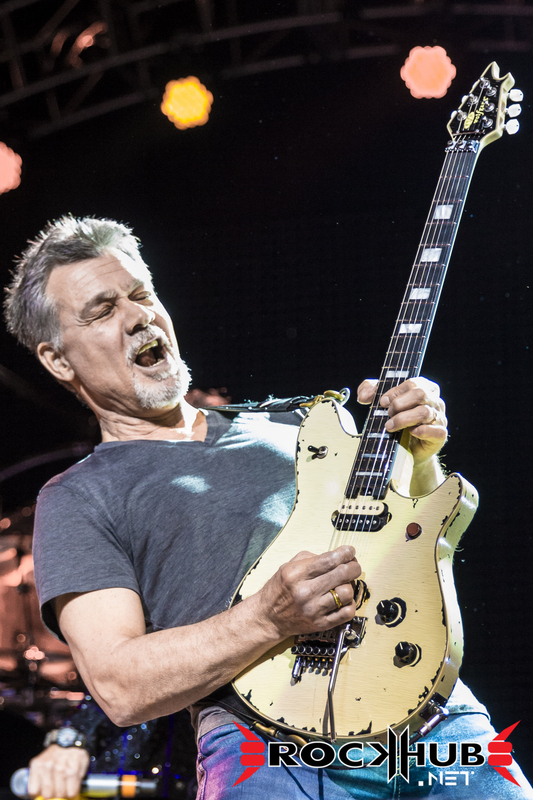 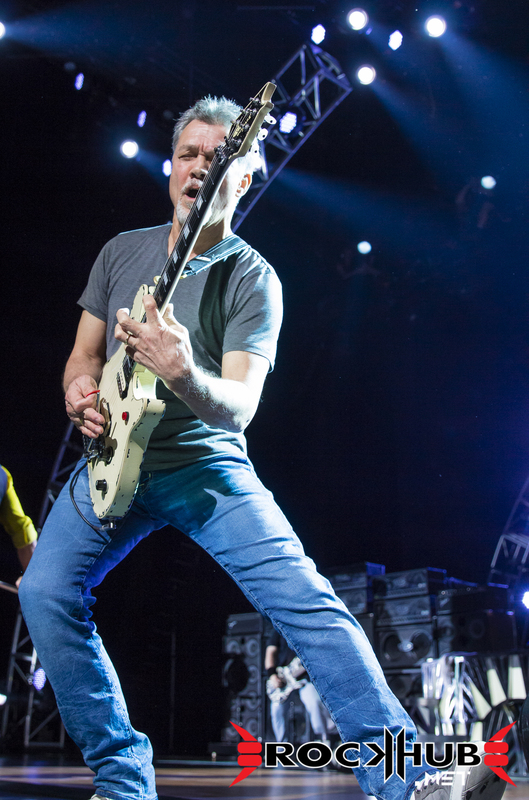 Alex’s brother, Eddie Van Halen, is just basically in a league of his own on guitars. 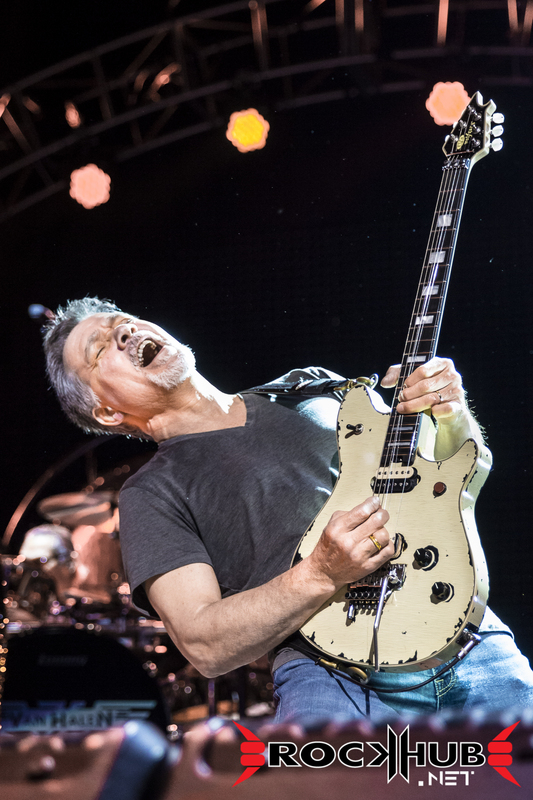 Song after song, all those familiar guitar riffs and solos came to life onstage in all their pinch-harmonic, fret-tapping, string-bending, whammy-bar-jiggling glory. 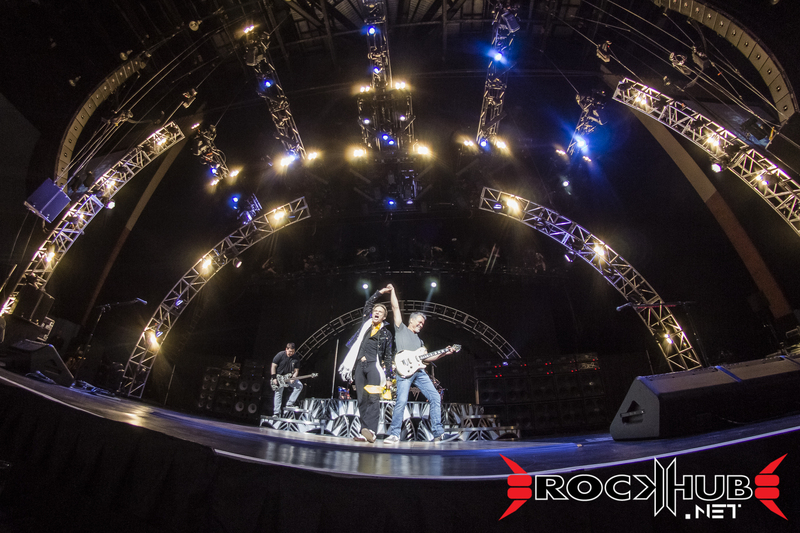 Oh, what a sight! 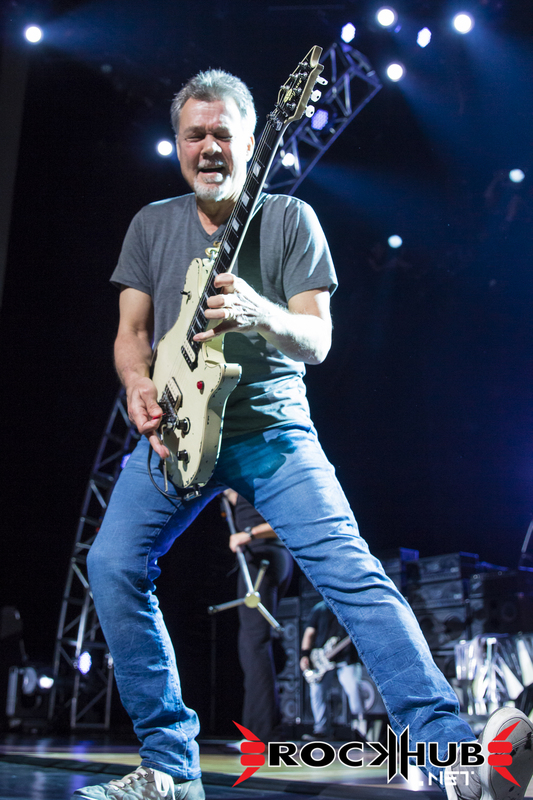 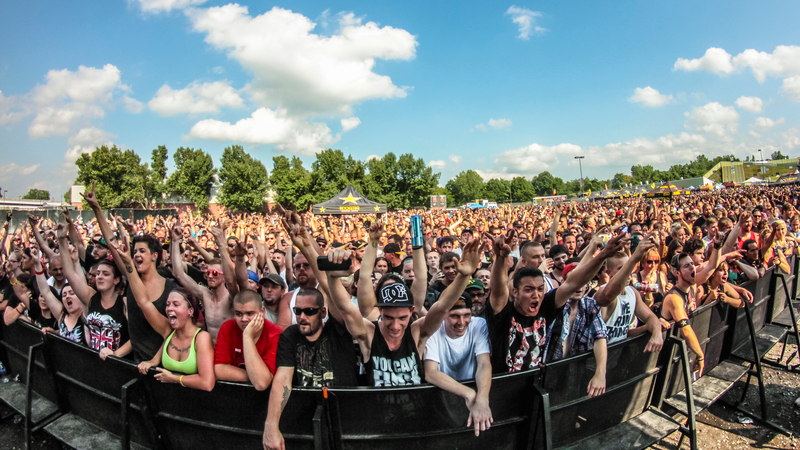 All in all, Hartford got wet that night, but witnessed one of the best shows of the summer. 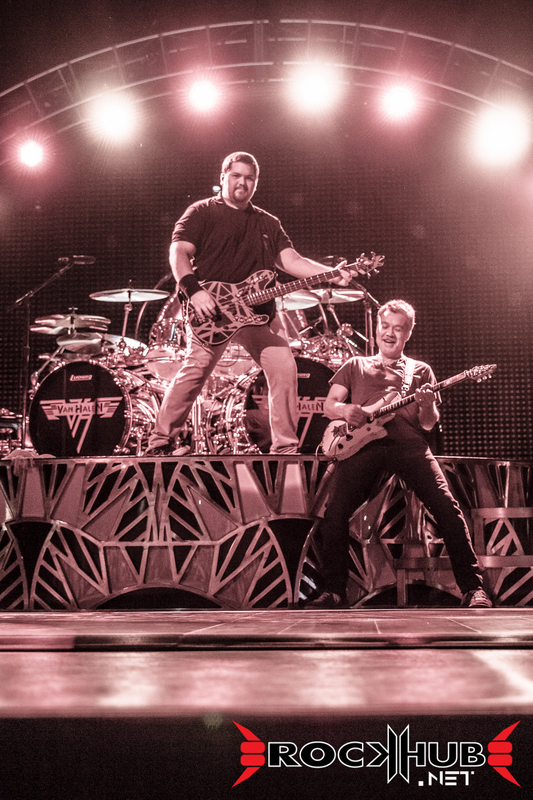 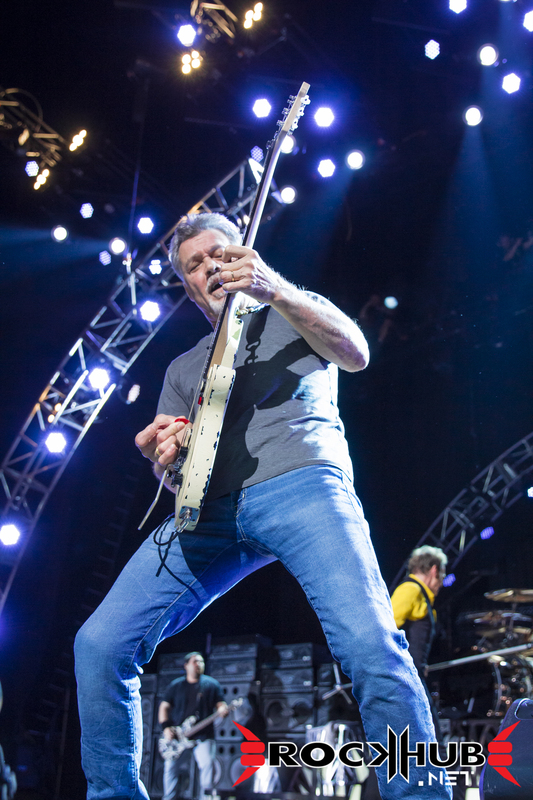 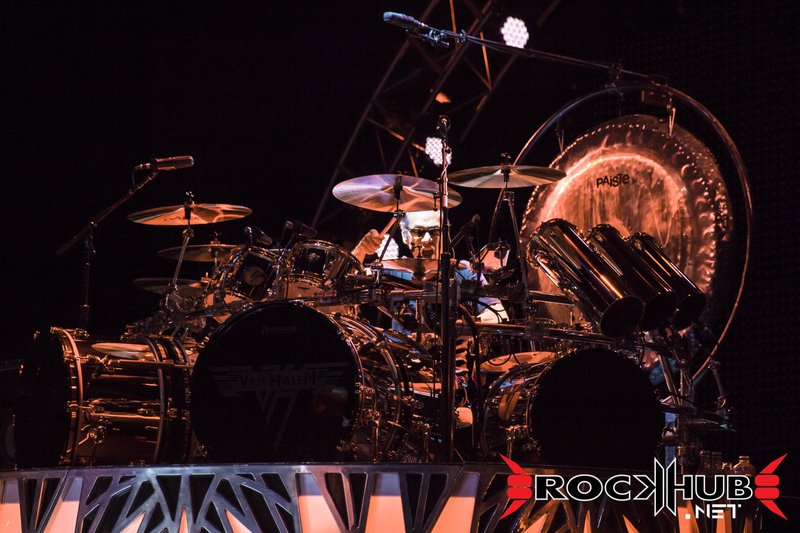 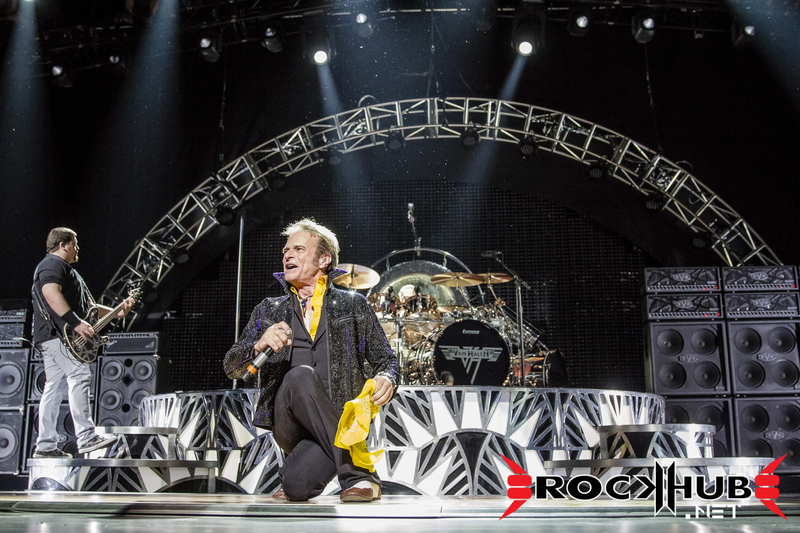 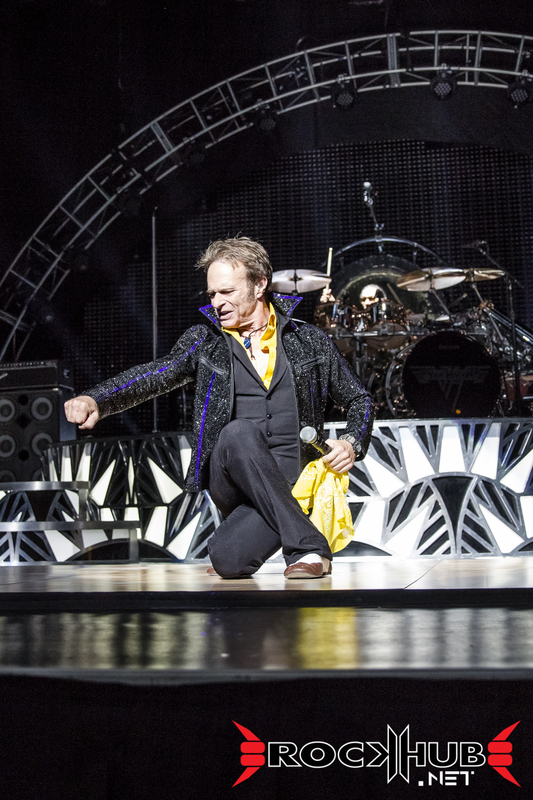 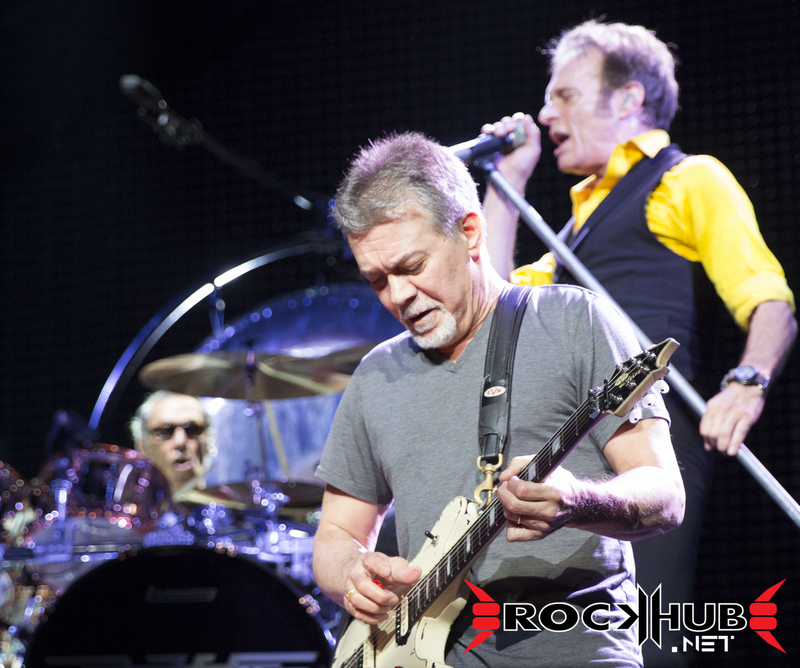 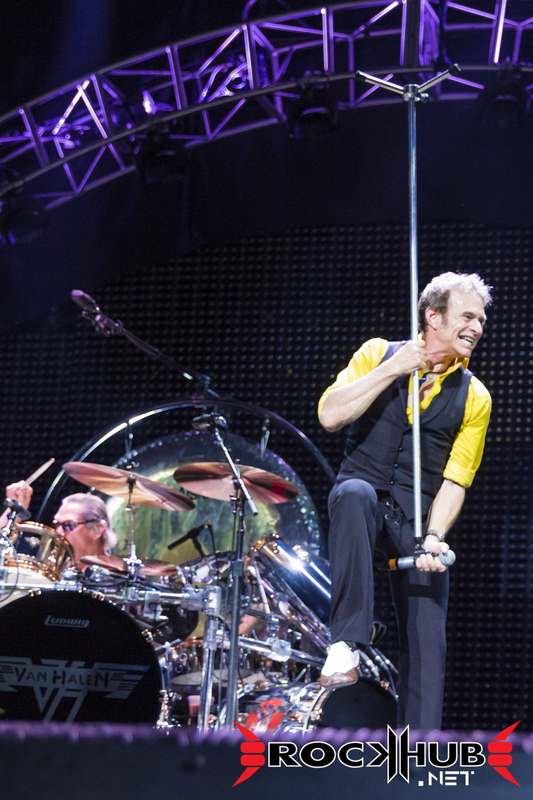 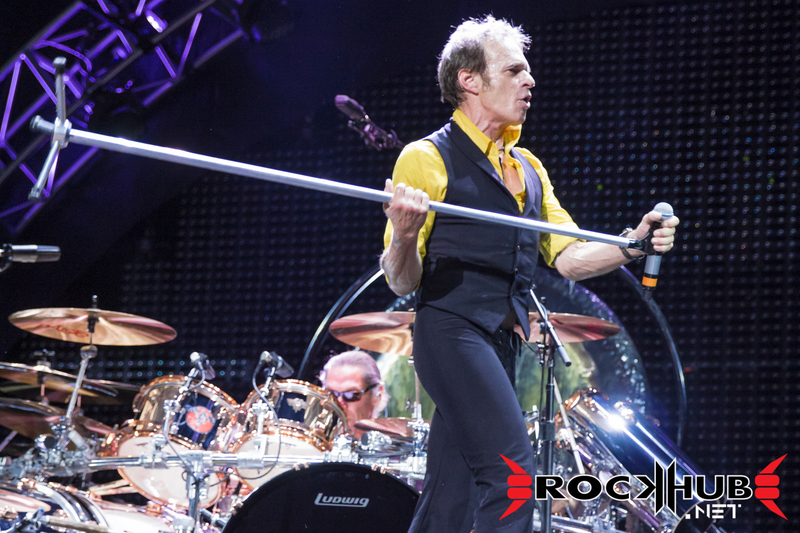 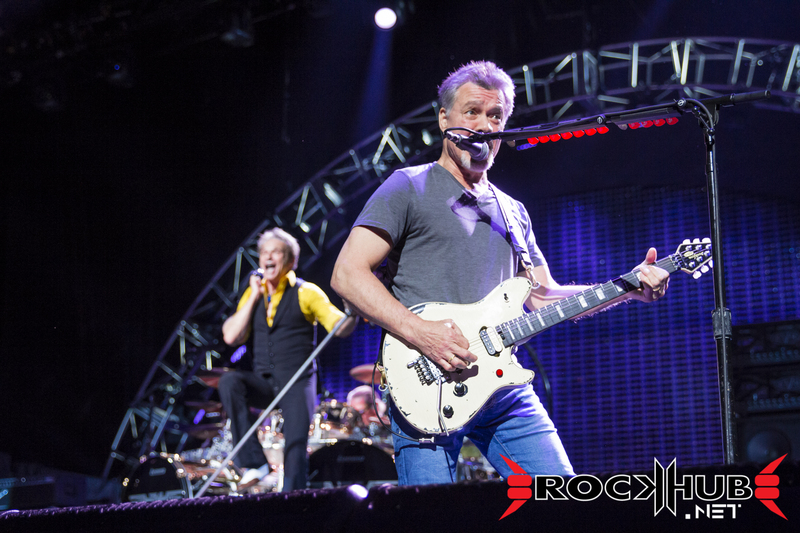 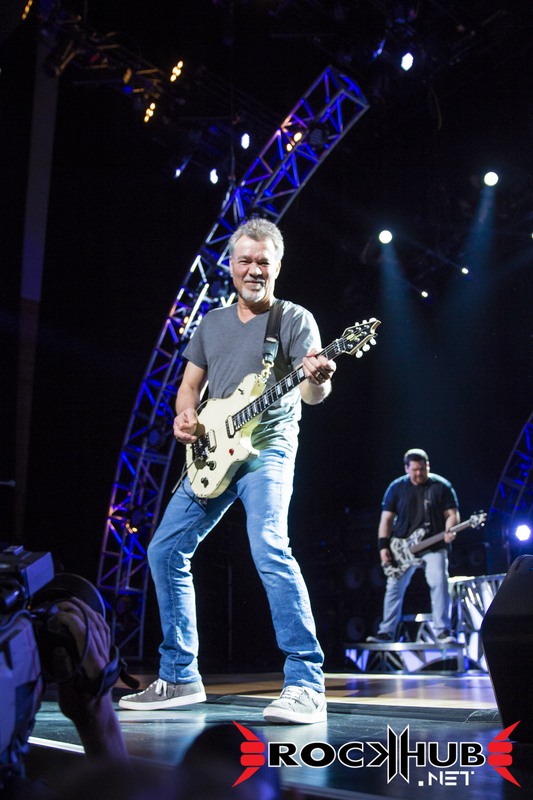 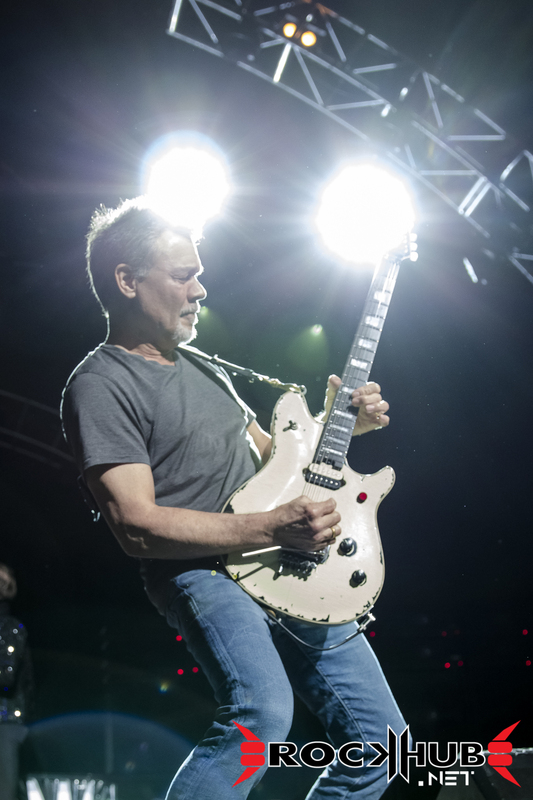 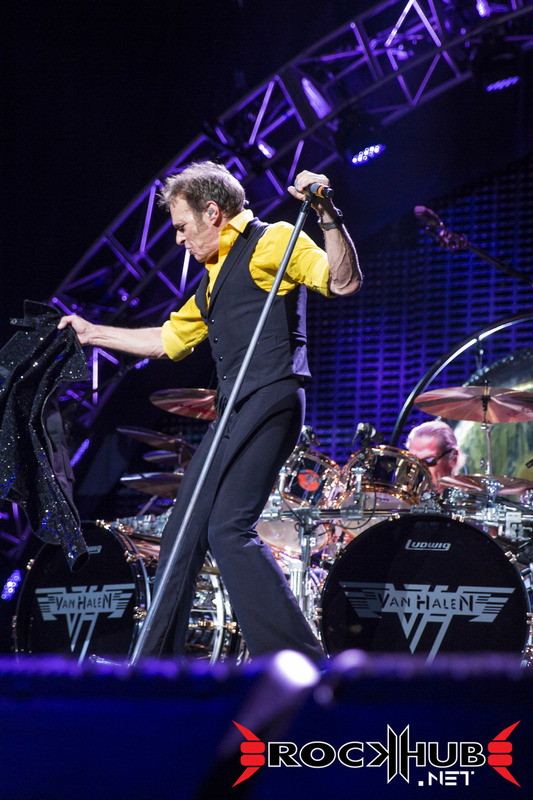 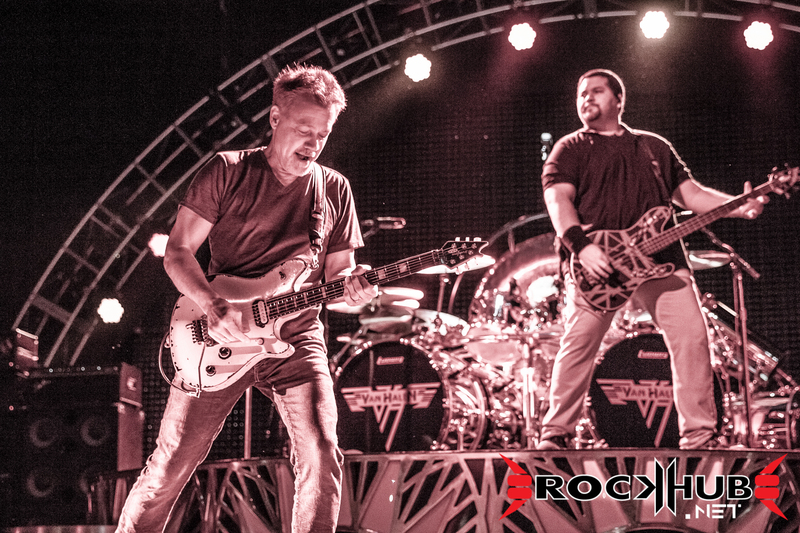 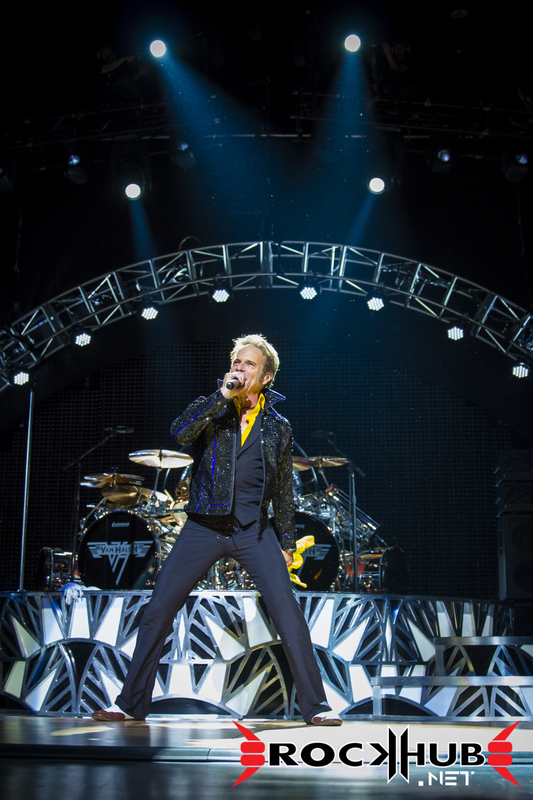 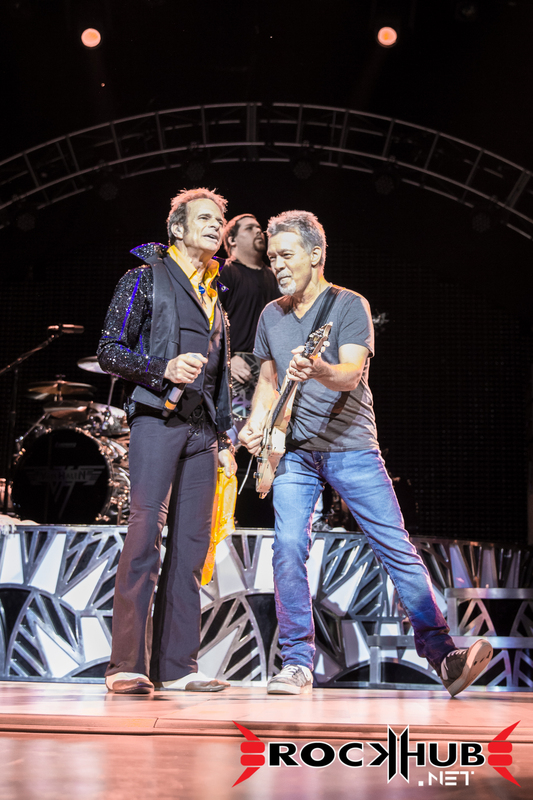 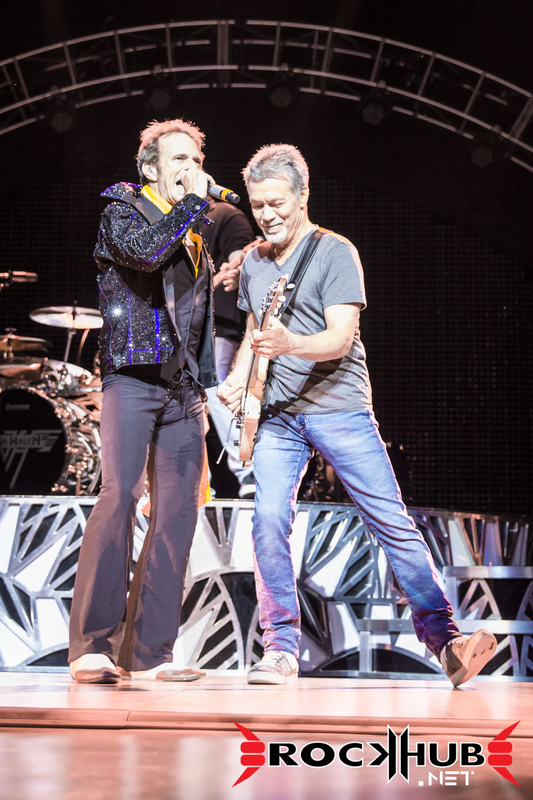 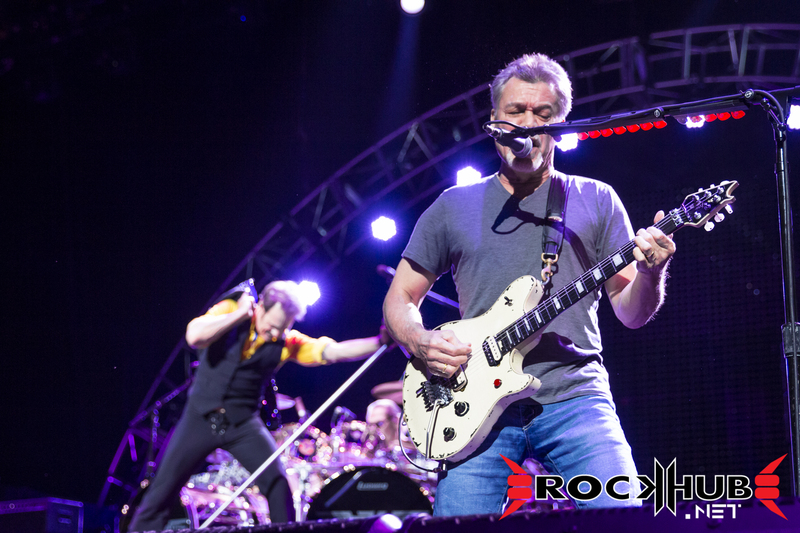 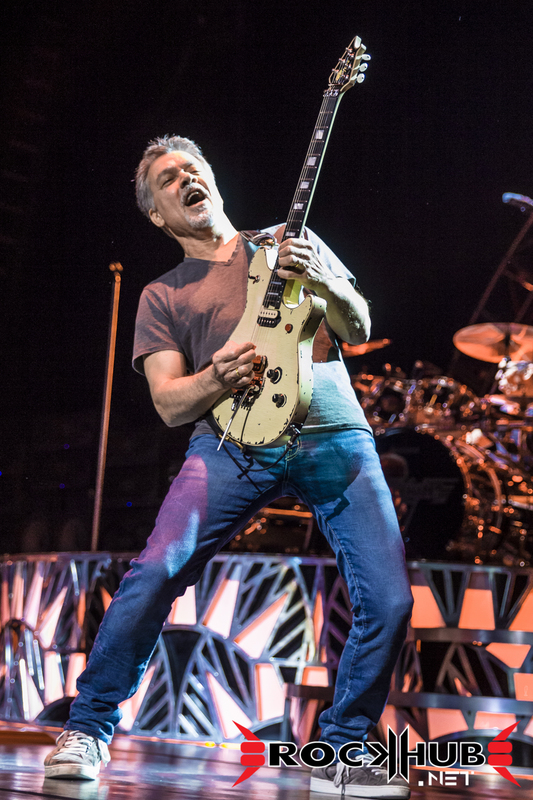 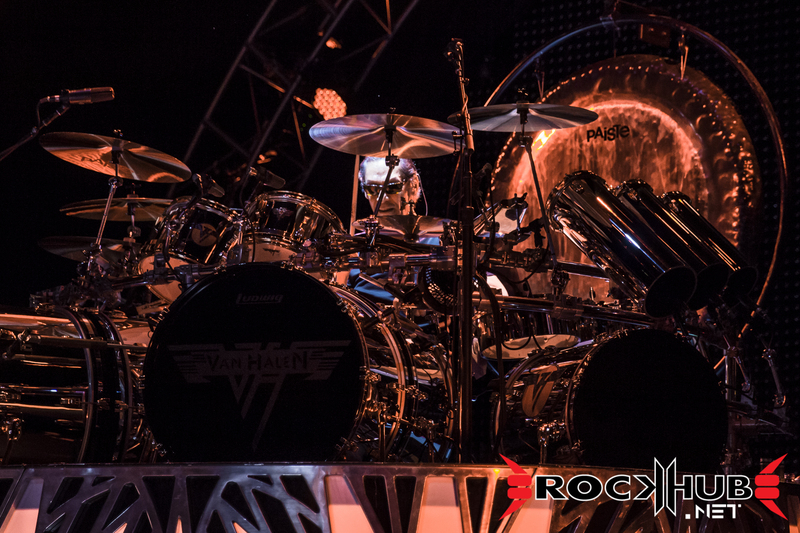 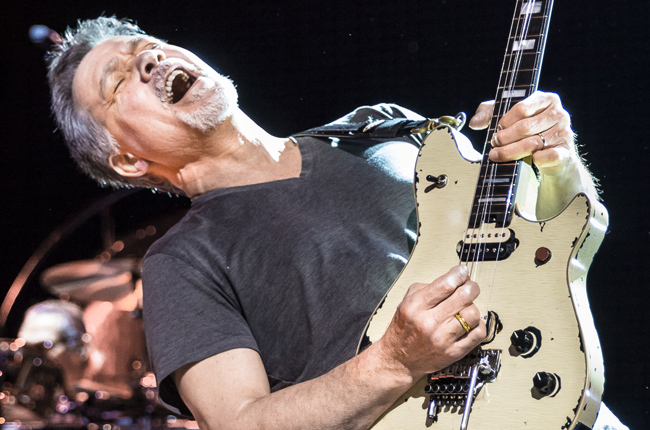 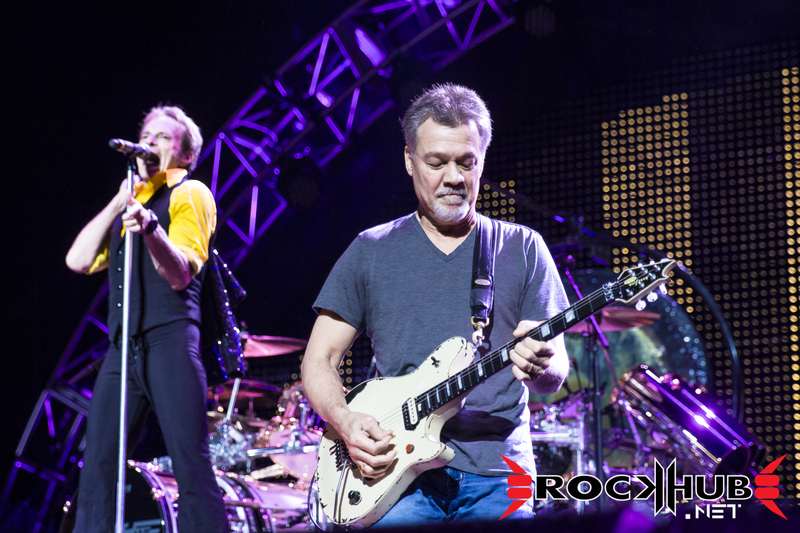 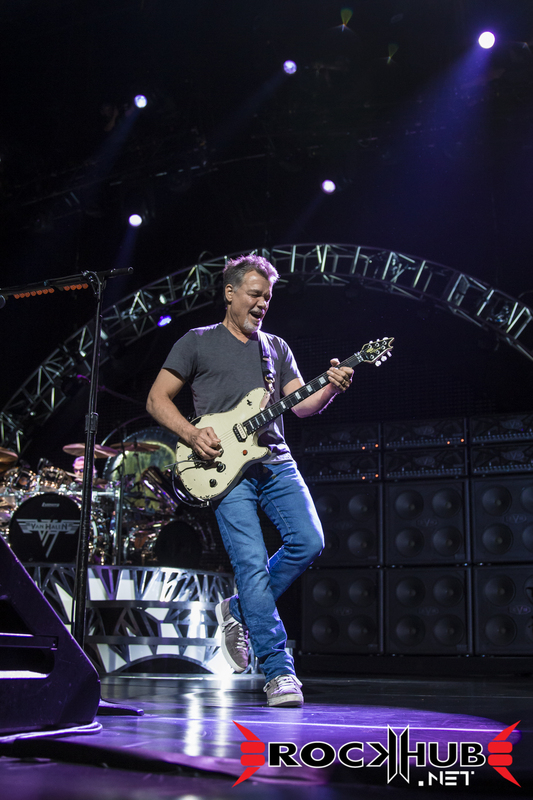 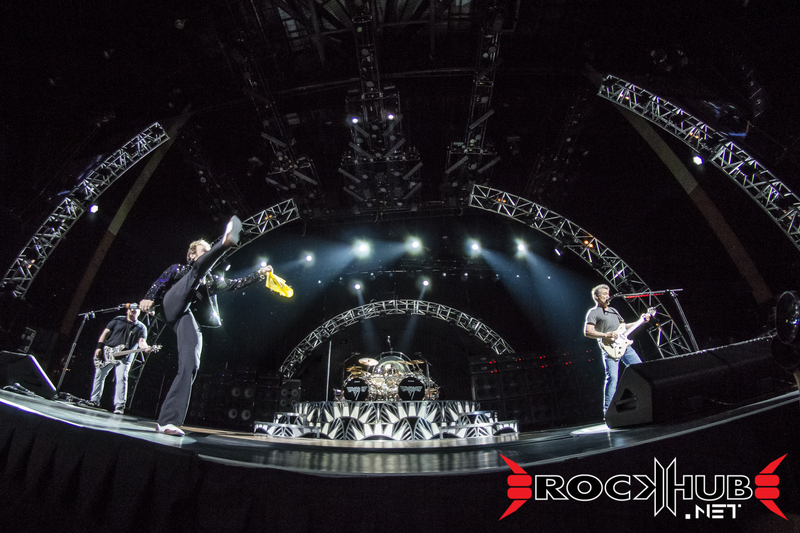 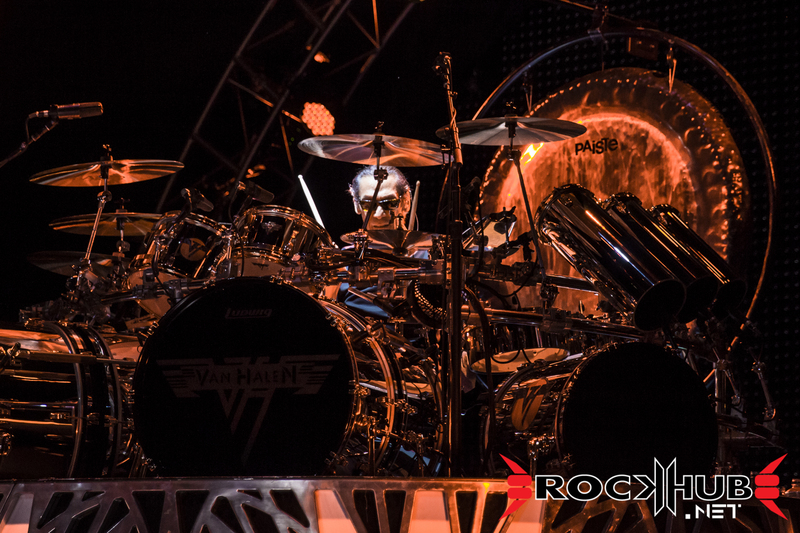 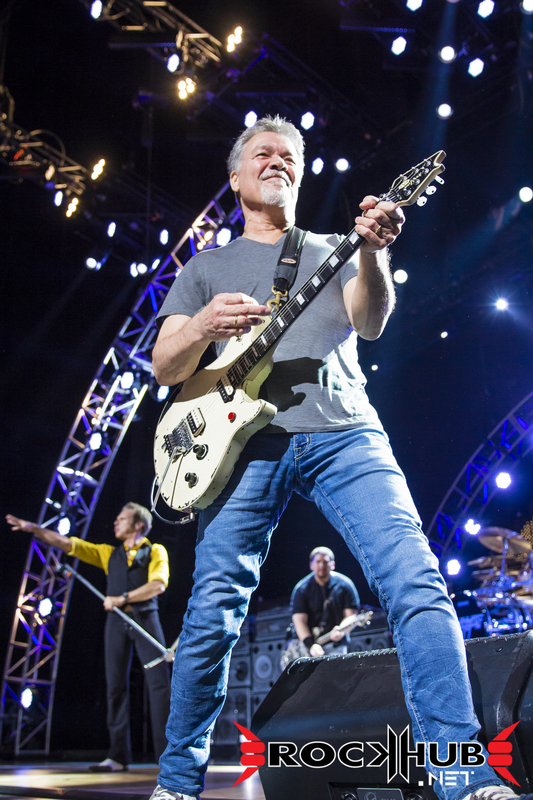 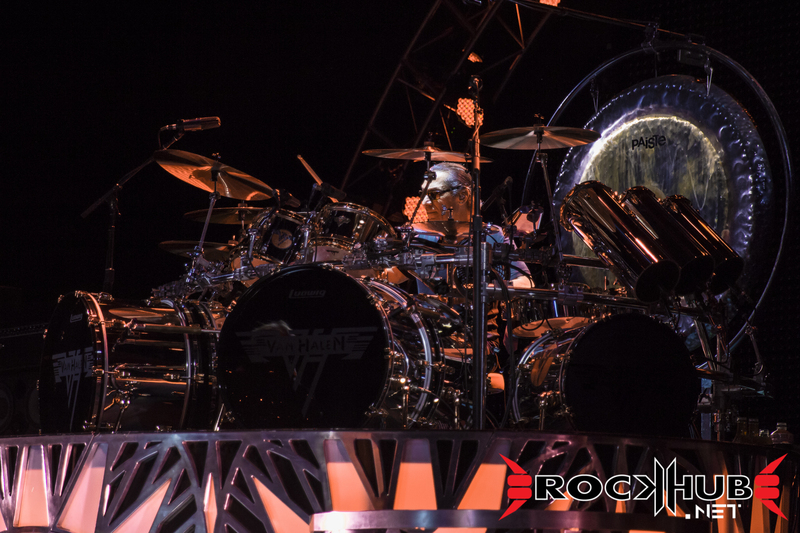 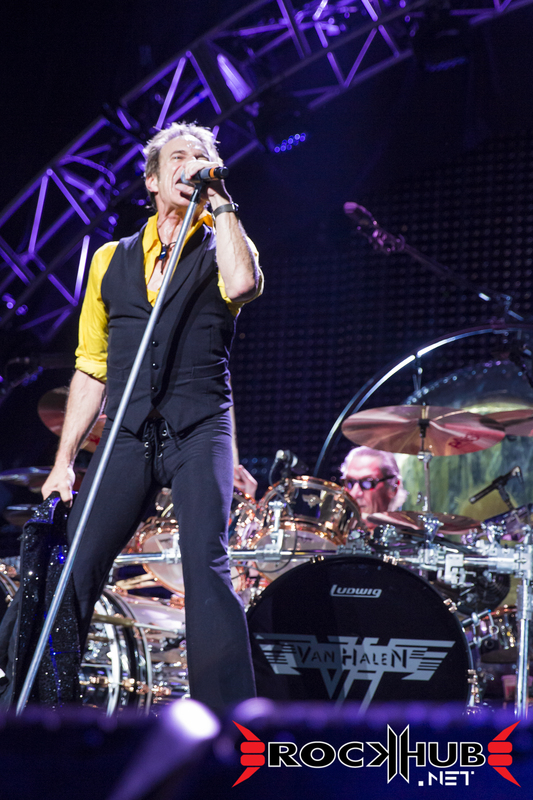 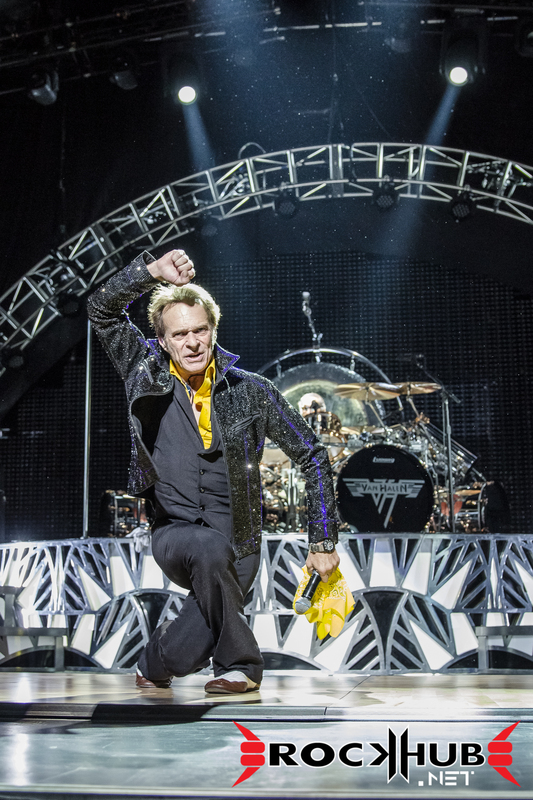 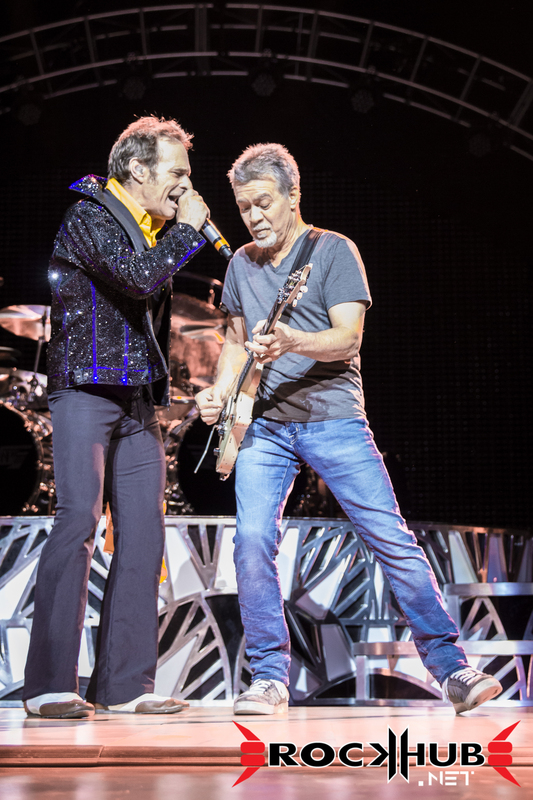 We’re very interested in seeing what the future holds for Van Halen once the tour is over. 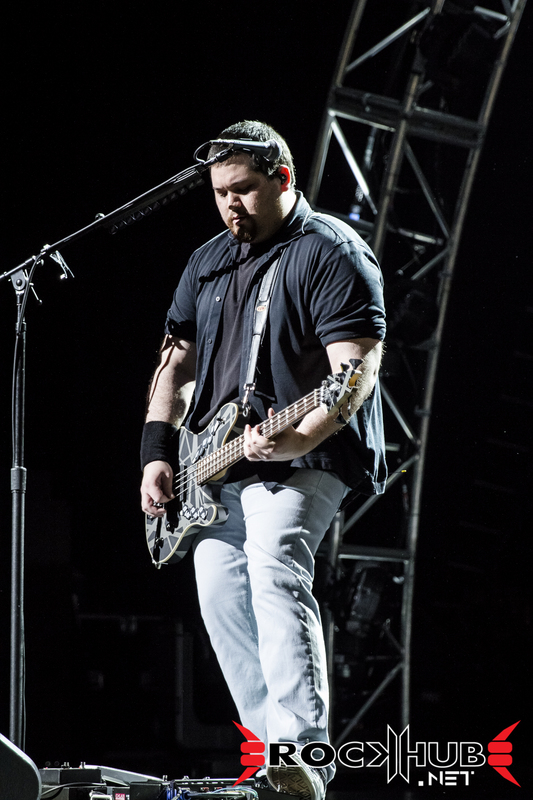 A new record, perhaps? 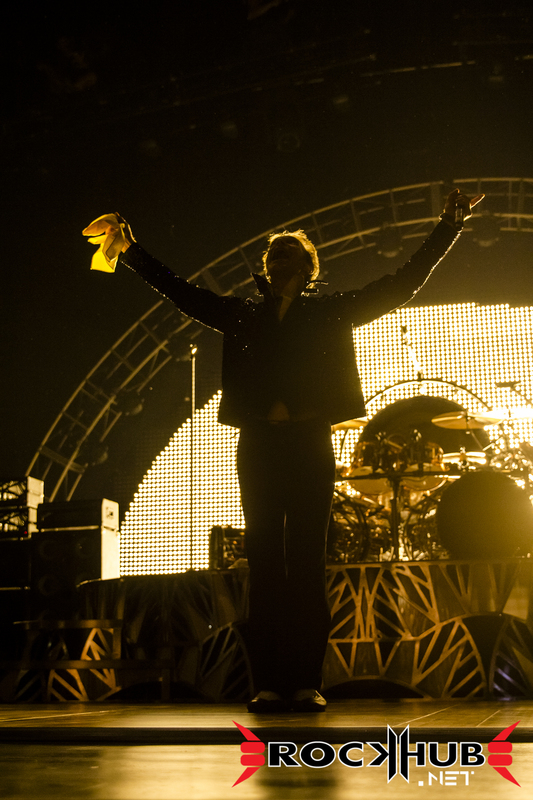 We can only hope and wait. 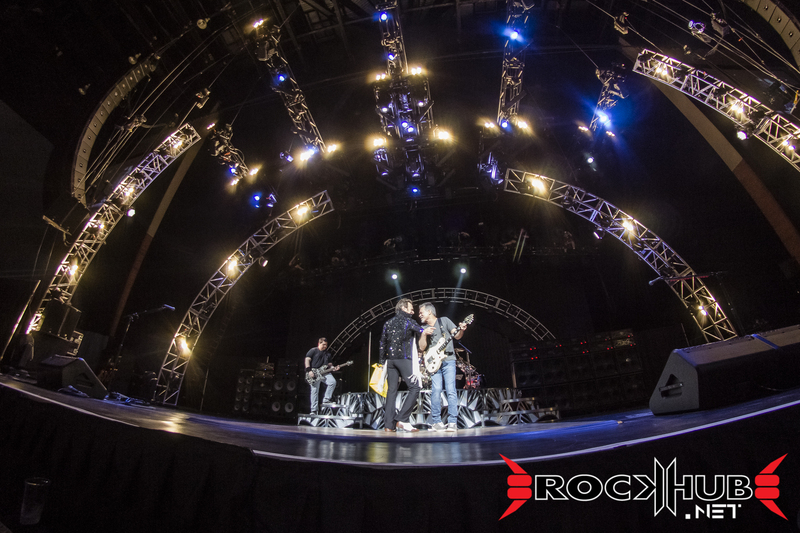 Here are my shots. 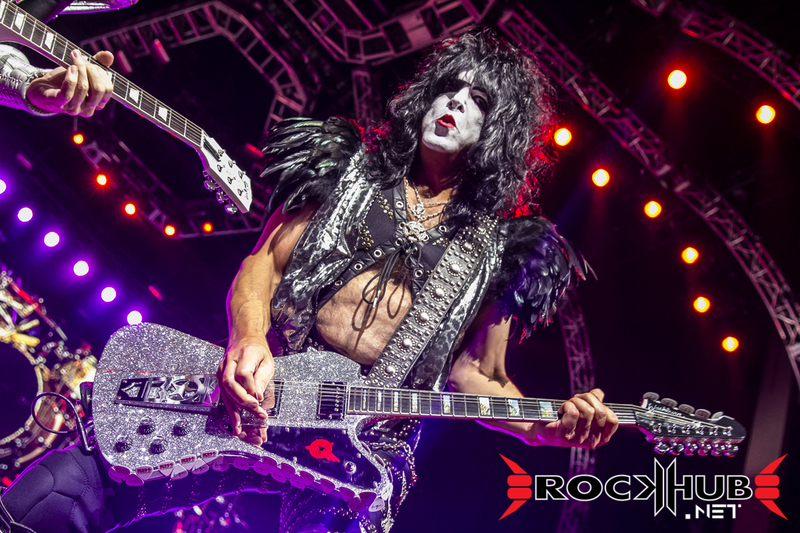 As always, like, share, and enjoy!